The EmbedFeed platform generates and displays photos and post feeds from various social media networks, including Instagram. 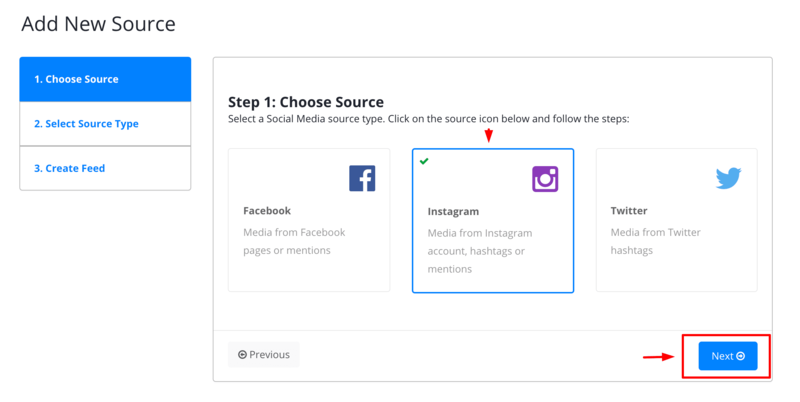 This feature can help you generate photos and posts from an Instagram hashtag or an Instagram username. 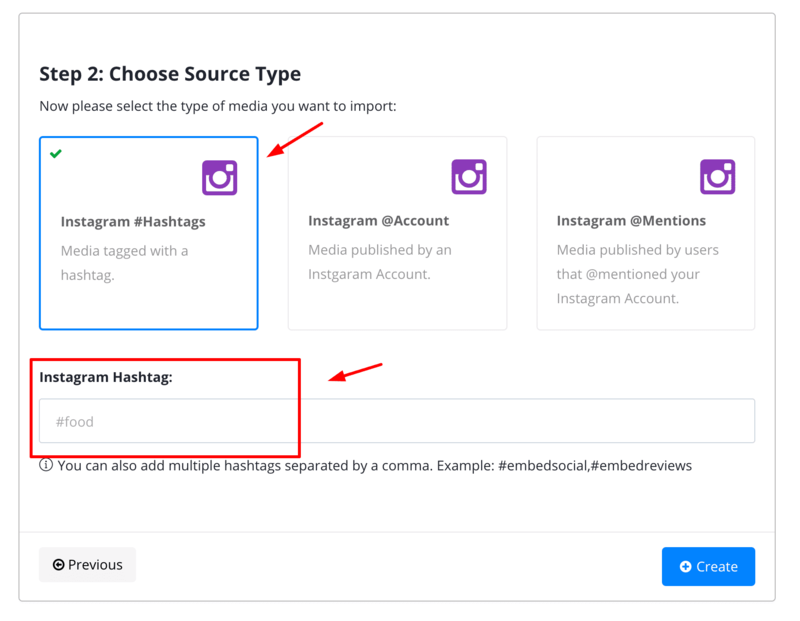 In this guide, we will show how to create a social feed from an Instagram hashtag and embed it on your website. 4. The system will generate the feed and in the final step, just click ‘Create feed’ to view the entire feed. 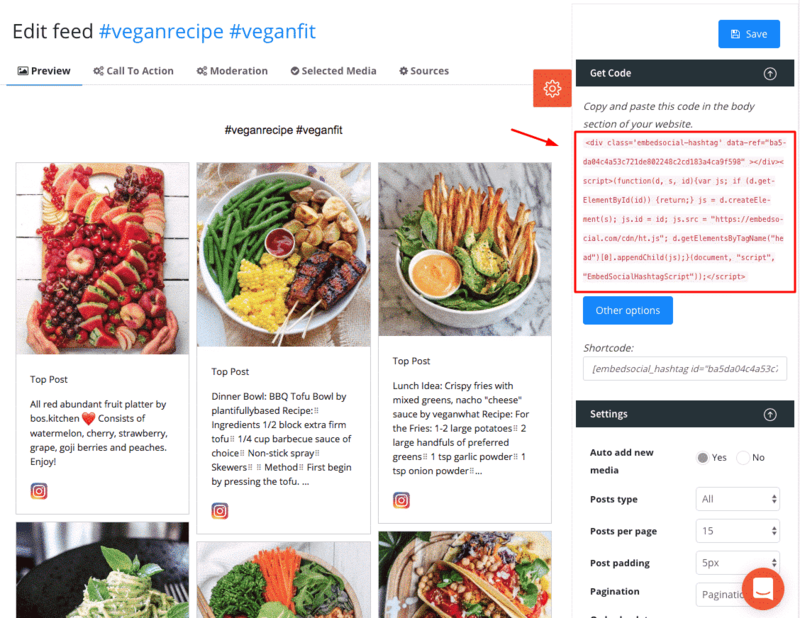 Once you submit your hashtags, your feed will be created and you will see a variety of options to make sure the feed fits your website design. Once you finish the above steps, you will be navigated to the album feed page where you will find the embeddable code. The code is placed at the top right position of the page. (as shown below). To embed it into your website, just copy this code and paste it into your website body section – the position where you want the album to appear. 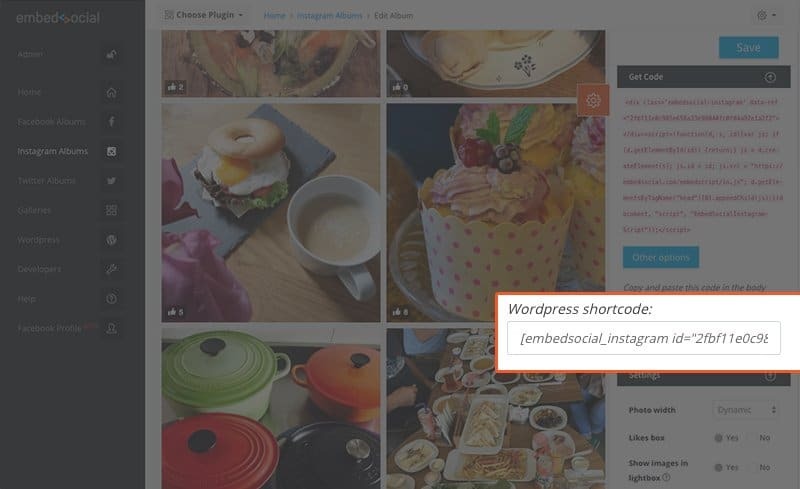 If you have a WordPress website, you can use shortcodes to embed the Instagram Hashtag feed. The hashtag feed shortcode is located in the same position as the script code. So to display it on your website just copy the shortcode and paste it in the Visual editor in your WordPress post or page. Why do you ask for a card verification in the free trial process?